*all photos in this post were taken by Boston-area photographer JMP Image. Book her for your next shoot! Friends, this will be my most honest post ever. As many of you know, I’ve been candid about my battles with depression and anxiety. That being said, embarking on this journey to becoming an entrepreneur has not be easy. Entrepreneurs who are not predisposed to anxiety and depression often develop one or the other because entrepreneurship is really hard. For people like me, it’s almost a given to battle both issues during such a trying a time. The unknown aspects of this journey often leave me feeling panicked and incredibly worried about the decisions I’ve made. I used Big Chop Hair Clip Ins to create this hairstyle, click HERE for a tutorial. Now let me pause for a moment, and just say that this post is not about throwing myself a pity party. I know I am blessed beyond measure. However, I know we often see bloggers and compare our lives to what they present on social media, and I want to always be open and real with you guys. It ain’t all golden, and I know some of you will relate to what I’m sharing. This Clutch is from one of my FAV online stores, LULUS. This one is sold out, but you can snag a similar one or others by clicking HERE. I sometimes feel that I am working myself to death and I don’t quite know what for. Last weekend, I cried off and on. I was worried about finances and not being able to give my son all the extras he deserves. I was also feeling disappointed in my social media numbers, as the views on my youtube channel simply don’t match the work I put into creating content. I mean, I work THIS hard and have THIS much education, why am I not Oprah? Necklace is c/o Happiness Boutique Buy it HERE. And I am no Holy roller. I don’t read the Bible, and I barely go to church. But I am a believer. When all else fails, that tiny thread of hope pushes me. When I think I could just lay down and die, that itty bitty teeny tiny bit of hope helps me to move forward. The realty is, no matter how upset we get we don’t die. Thinking you might die or worrying yourself crazy doesn’t change anything. And thinking that you can control when what’s meant for you comes to pass is also a waste of time. So what do you do when you want to say F*ck it? You don’t. You breathe. You let the emotions wash over you. You go for a walk. You take a shower. You watch your favorite TV show. You know that nothing lasts forever and things do change. A few minutes after I took JB for a walk and played tickle monster, I received a total of 5 brand contracts. Yes, folks, the dollars are coming in. Why did that happen? Because even when I wanted to freak-the-hell-out, I gave God and the Universe the opportunity to work its magic. I know it’s easier said than done, I know it. But when you want to give in all you have to do is breathe. « Is There a Difference? Are We Still Punishing Women’s Bodies? This is one of the most inspiring and motivating blogs I read. Keep pushing Sis. God can do all things but Fail. Indeed! Thanks for reading Joya! Thank you so much for this post. I can really relate to it. I have been trying my best to stay positive and strong for my kids during the hard time that we are going through right now: I am starting my own business too. Sometimes I just want to cry and give everything up. But Today, I will not give up…. Thank you for these words… You don’t know what you just did for me. I can not tell you how on time this post was, I myself feel like at times I’m at the brink, it’s true, you spend so much time, work so hard and either the numbers aren’t there, the clients aren’t coming in and it just feels like everything is going wrong. I love what I do and it’s keeps me going, I think anybody that has ever been great has had to dig deep and push through, I love you content your photos are amazing and I see big things for you, thanks for sharing! Definitely glad I saw this…feeling motivated again! Thank you…I finish my second master’s degree in 62 days!! This is how I’ve been feeling. I’ve been taking risks towards entrepreneurship but I haven’t seen results yet. It doesn’t help when family and friends aren’t supportive but I just have to remind myself that I believe in me. When I succeed that’s when they will want to be around me and act like they’ve been on my side. At times I would get angry at them and myself because I couldn’t understand why these same friends that I’m there for aren’t for me. Believing in God is believing in me. I know I will make it but it takes one step at a time. I can’t control what happens in my life but I can control how I respond to it. Thank you for sharing your experiences. It lets me know that I’m not alone. Wow! This was a great read, and I really appreciated you sharing that with us. I am a new blogger, I created my account a few weeks ago. The beginning stages are the hardest because I do not have much of a following as of yet, but I want to keep pushing and sharing what I have to say despite of my diminished audience. Thank you, for reminding me not to give up and there is so much more to come. You can do this and I am always inspired by your realness, perseverance, and hard work. Your images are stunning too. I feel you on every level with this..the struggle is REAL.. I go through the same thing, and always stop and remember, I am a child of God, and that holds me.. Big ups to your continued success, and the sustaining factors for us all.. I appreciate you so much. Thank you for your continued support. much love to you! Thanks for posting this I am at a time in my life where I have almost completely given up. I have also suffered from anxiety and severe depression my whole life I noticed I was different at around 7. As we both know it’s not easy trying to reach the top when all you want to do is give up and curl into a ball. As for now, I am taking it one step at a time. I know I can make it. I always try to figure out though how does one make it when something always seems to stop them. But thanks, I won’t give up. Thanks for sharing this Lisa, its what ive been needeing to hear. It hasn’t been the best year and for a moment i felt like i am losing everything i care about but im more hopeful now. 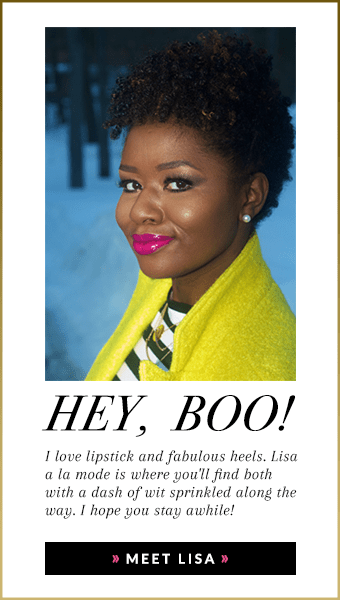 Hey Lisa, I am also a new blogger endeavouring this journey of entrepreneurship and I struggle with the ups and downs of anxiety and depression too. Thank you so much for being transparent and for sharing your experience. This was extremely encouraging. I will keep moving forward. Let’s move forward together.